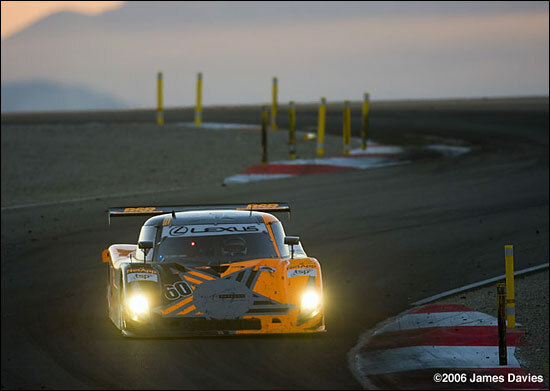 Michael Shank Racing took an overdue maiden win at the final Rolex Series race of 2006, way back at the start of September: Oswaldo Negri and Mark Patterson won at Miller Motorsports Park, in the #60 Riley Lexus (photo below). Mike Shank has just announced a second confirmed entry for 2007 - Henri Zogaib and Ian James will drive the #6, Lexus-powered MSR Riley entry, which typically raced this season with Mike Borkowski / Paul Mears at the wheel. Negri / Patterson will continue to race #60. Zogaib is a Florida-based entrepreneur with four career starts in the Daytona Prototypes, and a best finish of tenth. He races as a “passionate pursuit”, and has purchased the Riley from Paul Mears Jr. He’s sensibly signed up Ian James as his partner. That’s a reference to the Miller win nearly two months ago. Zogaib, James, Nastasi and Gleason drove a Blackforest Crawford at the Rolex 24 this year, but were the first retirement. Henri Zogaib credits Ian James as being instrumental in his progress as a driver. 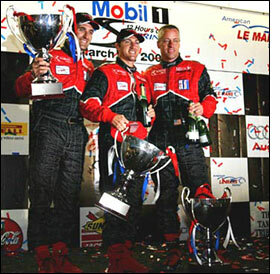 James is pictured on the podium at Sebring in 2005, after winning the LMP2 Class with Jeff Bucknum and Chris McMurry. He also won that class in 2004. James was in the same Miracle Courage (as in '05) when it finished third at Le Mans this year. MSR is gearing up to move to a new custom-built shop immediately after returning from the Rolex Series Daytona test in early November. Zogaib and James will be getting their first taste of the Riley at the Daytona test (November 6-7). Mark Patterson and Oswaldo Negri will continue to race the #60 car: they finished second in the 2006 Rolex 24, driving with Justin Wilson and A.J. Allmendinger.